Excelsior Integrated’s 3PL services include ecommerce order fulfillment, bulk order preparation, shipping optimization, inventory management, crowdfunding order fulfillment, return logistics, and more. With Excelsior powering your fulfillment operations, you can return focus to what matters most. Excelsior Integrated provides consumer product businesses with fulfillment solutions that help achieve immediate scalability and cost savings. 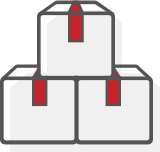 For entrepreneurs and resource-constrained enterprises, we are your fulfillment operations partner. Ensure all orders arrive as promised at the least possible cost. Provide end-to-end customer care from order to delivery. Allow easy online access to reports for inventory and order management. Drive lead generation through improved customer experience. Generate cost savings through process standardization. Final product assembly at your manufacturing facilities is not always possible or cost effective. And kitting products together to sell as promotional bundles on your site can be a great way to boost order size and sell slow moving items. Excelsior has flexible solutions for these kitting and assembly needs. We’ve got you covered whether it’s small or large batch, continuous or one-time projects. Viral media attention can be exciting and scary. You need to have solid fulfillment infrastructure in place to exceed consumer expectations. We’ve fulfilled the orders of some of the biggest Kickstarter and IndieGogo campaigns ever, including several with over a million dollars pledged. We’ve shipped bikes, camera lenses, smart notebooks, and much more. From the time your campaign launches, we’ll be meeting with you to prepare a shipping plan to get orders to backers as quickly, fairly, and cost-effectively as possible. In preparing for campaign fulfillment, we will also be setting up ongoing ecommerce fulfillment processes to help you smoothly transition from crowdfunding to ecommerce models. As you build your business and your needs change – new sales channels, retail relationships, inventory expansion and product evolution – we are ready to adapt with you. Many of our customers have also been featured on shows such as CBS Sunday morning, Shark Tank, and Good Morning America. We’re there for you when these exciting times come, ready to ensure your shipping service levels don’t slip despite huge order influxes. We’ve done it before, and we know how to prepare for you. Reverse logistics can be a distracting headache without a clear process in place. Customers need easy steps to follow, returned packages need RMA classification, you need fast processing and reporting so credits can be applied and exchanges placed. Excelsior’s return management services will help you streamline this process and keep your customers happy. We’ll provide daily returns processing, item inspection according to your rules, reports detailing original order information and return reason, and API access so you and your business applications can always see what’s happening. We have also setup integrations with Shopify apps such as Return Magic, in order to automate the transfer of return order data from our system to yours. Excelsior supports a variety of fulfillment models for those selling on Amazon. We support seller fulfilled prime as well as daily FBA prep of bulk orders shipping into Amazon warehouses. Amazon’s metrics for Seller Fulfilled Prime can be stringent, but that’s where we come in. Same-day shipping, discounted rates, and an emphasis on accuracy allow our customers to exceed Amazon’s requirements and improve profit margins over FBA. Our automated shipping processes will choose the most cost effective ship method while still ensuring two day delivery. And our proximity to dense population areas on both the east and west coasts, means a large portion of orders will arrive in 1-2 days via Ground Shipping. Our east coast location is two hours from Boston and three from New York City, and our west coast location is 3 hours from both San Francisco and Los Angeles. Product inspection and quality control. Case and pallet labeling with Amazon FBA ID labels. FNSKU item labeling and polybagging. Applying compliance stickers such as “This Side Up”. 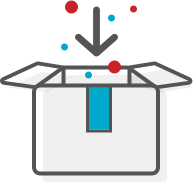 Capture of case or pallet dimensions and weight. UPS label printing on Amazon’s or Excelsior’s account. LTL shipment prep using Amazon’s preferred carriers or Excelsior partners. Receive, sort and inspect removals of stock coming back from Amazon. Wholesale order distribution opens several new challenges we’ll help you simplify. Don’t let multiple vendor compliance guidelines slow you down. You’ll encounter many different vendor compliance guidelines surrounding pallet preparation, required delivery dates, case picking, case and product labelling, LTL scheduling, and third party shipping accounts. 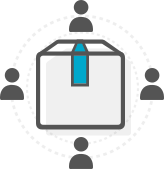 We’ll communicate from the start to setup vendor specific fulfillment rules, but also make order-specific adjustments simple. Additionally, many retailers require EDI integration for order processing, order receipt confirmation, shipment confirmation, and inventory feeds. Our pre-built integrations with EDI vendors make setup much faster. Today’s online merchants sell through many channels, making inventory management and accuracy crucial to success. Controlling storage costs is also essential. With Excelsior managing your inventory, you’re immediately adopting industry best practices and time-tested techniques for maintaining accuracy: Efficient storage, consolidation routines, quick receiving with immediate notification of receipt, periodic cycle counting, online reporting of present and past inventory as well as transaction history, and a pay-for-use model to keep your costs down. Easily take actions to reserve or discard items. For shelf-stable packaged food items, our 75,000ft2 facility is FDA certified. We can also implement FIFO and expiration date tracking for time-sensitive items. With Excelsior powered logistics, you can return your focus to what matters. Depending on your product, shipping costs may constitute a large majority of your logistics budget. And identifying optimal ship method offerings based on delivery time, location, package size and address type can be complicated. Through our 20+ years of experience in the industry we have learned the ins and outs, and established relationships with all the major carriers. We will assess your current shipping spend to identify potential savings and delivery time improvements, or guide you through the process if you’re new. Domestically, hybrid options like DHL eCommerce, UPS Mail Innovations, and FedEx SmartPost are available. Internationally, we have solutions to maintain tracking to the doorstep, while keeping costs down. Some customers have simple rules that map to ship method selection they offer consumers at checkout. Some offer delivery-time based options to the consumer, and our system figures out how to best meet that expectation based on customer location. Some ship on their postal accounts or third party accounts, while others take advantage of our postal discounts. However you choose to approach it, let us help you navigate the waters. We fulfill and ship high value items such as fine art, 3D Printers, gift cards, bikes, and other gadgets every day. Choose from a variety of add-on item handling services to provide the accountability and reliability you need. Serial number tracking allows for complete visibility on every single unique unit of a high-ticket item, so you can view every transaction it undergoes: from receiving to shipping, and returns. Through our online report or API, you can quickly know which serial number every one of your customers has received, and which are still in stock, committed, returned, or reserved at the warehouse. 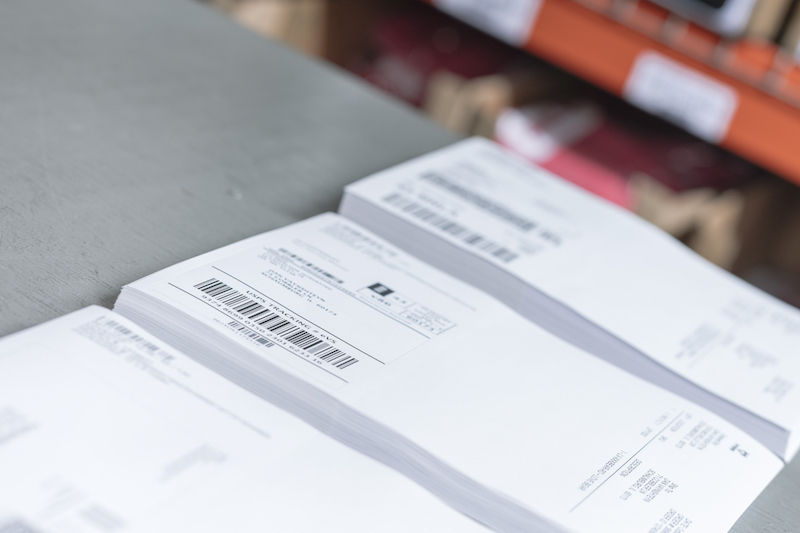 Additionally, you can provide Excelsior specific packaging instructions to ensure the protection of delicate items entering the postal system. Regular stock counts and our tight building security system help keep your product safe at all times. We pride ourselves on providing fast, knowledgeable, and friendly customer service. This is key for start-ups with shifting business models, as well as established merchants trying to keep up with the changing ecommerce landscape and influxes of consumer questions about outgoing packages. We’re always a quick phone call or email away – no automated responses or ticketing, just direct communication with dedicated account reps. And if you ever have a problem, we want to personally hear about it and make it right. Our headquarters and main warehouse facility is located in Lee, MA in the beautiful Berkshires. We can reach most of the east coast in one to two day ground shipping. We’re also part of a partner network with facilities across the country, and we have established partners in Canada and the UK. If splitting inventory to reduce shipping spend and delivery times makes sense for you, we’ll help you sort out the details of order splitting, inventory integration, consistent reporting, customer service protocols, and more.